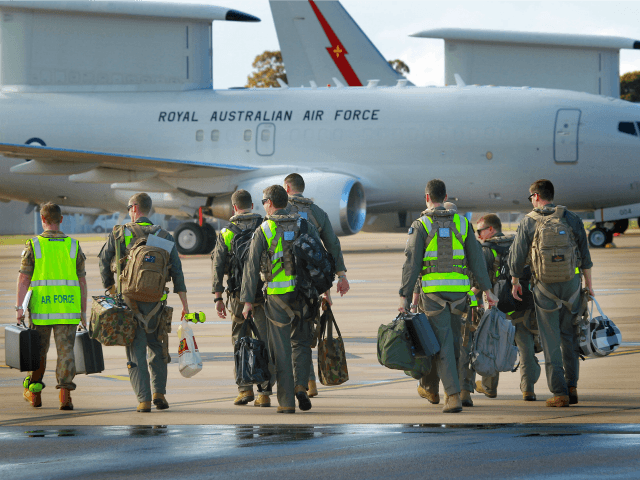 The initiative comes as Australia seeks to reboot its naval, air and land assets as China-Australia relations plummet over China’s illegal militarization of the South China Sea. The United States, Britain, Canada and New Zealand, which between them already import Australian-made equipment including the Bushmaster IMV and the Nulka missile decoy, will be targeted. The nations all belong to the global intelligence-sharing network known as the Five Eyes. Prime Minister Malcolm Turnbull unveiled the new “defence export strategy” setting out the policy and investment strategy to enable Australia to become one of the world’s top 10 weapons exporters within the next decade. Hailing it a job-creating plan for local manufacturers, the conservative coalition led by Mr. Turnbull says Australia only sells about $1.5bn to $2.5bn in defence exports a year and it wants the value of those exports to jump. A new Australian Defence Export Advocate position, set up to support the Australian Defence Export Office, will provide industry with the advocacy needed to promote Australian-made weapons overseas. 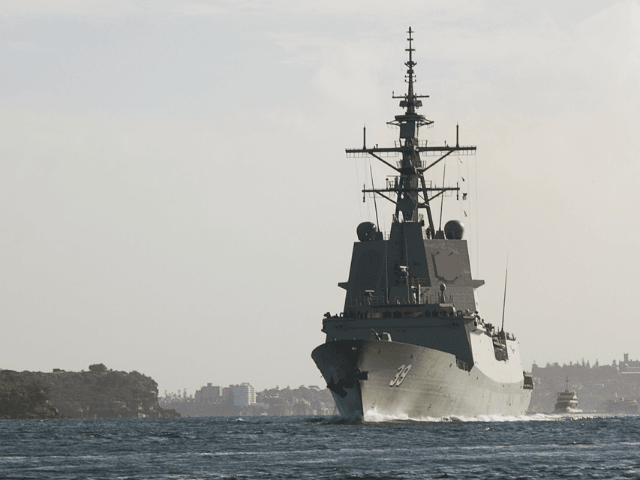 The new Australian-built Guided Missile Destroyer HMAS Hobart enters Sydney Harbour on completion of Mariner Skills Evaluation (ABIS Bonny Gassner/RAN). “It is an ambitious, positive plan to boost Australian industry, increase investment, and create more jobs for Australian businesses,” Mr. Turnbull said. Australia’s push could supplant Israel, currently the world’s tenth-largest arms exporter, according to the Stockholm International Peace Research Institute, from the top-10 roster. Between 2012 and 2016, the 10 largest arms exporters were, in order: the US, Russia, China, France, Germany, the UK, Spain, Italy, Ukraine and Israel. Defense Industry Minister Christopher Pyne said Australia would focus on growing sales to those markets and more. “We want to support the United States, the UK, New Zealand, Canada, our European friends and allies, Japan, South Korea, et cetera, in what is a building up of the global military capability of countries like ourself who support the rules-based international order,” Pyne said. “The defense export strategy is not designed to get into markets where we don’t want to be. It’s designed to maximize the markets where we perhaps haven’t been making the most of our opportunities,” he added.